Michael Bilewycz, Managing Director of Decisis Limited (photo on the left) was called to the Bar by the Middle Temple in 1988 and is also a Registered Trade Mark Attorney. Before starting his career in Intellectual Property he spent a number of years in Trade/Import-Export Finance where he gained a valuable insight in international commerce. He then spent more than seven years in-house at Unilever specialising in Intellectual Property law with an emphasis on Trade Marks and related rights and which involved him in all aspects of that IP specialism. The next five years were spent with two IP specialist firms. 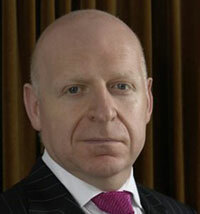 From 2000 until 2007 he was a director of Markforce Associates (an IP boutique which was a subsidiary of Omnicom Group, the world’s largest media, advertising and marketing company), where he advised both other subsidiaries within the Omnicom Group (which included Interbrand and DDB), and acted for and advised direct clients such as Alexander McQueen, Cronos, Dresdner Kleinwort, Allied Domecq, Toshiba, the European Bank for Reconstruction and Development, Simon Carter, Square Pie, The Mind Gym, Acas and Asos. In that role he has handled all aspects of IP including the clearance and protection of Trade Marks/Designs, the transfer of all IP rights, litigation, IP licensing and the acquisition/sale of businesses both in a national and international environment. He has more recently been involved in contentious matters and has also advised CPM United Kingdom Limited in its successful defence of its trade mark InTelMark against attack by Intel Corporation which matter is now listed for hearing by the European Court of Justice. Find out more about Decisis IP Services.